Disclaimer: These testimonials are not intended to recommend any supplement as a diagnosis for specific diseases, nor as a product to cure or prevent diseases or other conditions. We make no such claims as to the benefits of Femanol®. FDA Required Legal Disclaimer - These statements have not been evaluated by the FDA. This product is not intended to diagnose, treat, cure, or prevent any disease. Femanol is intended for use by adults 18 years of age or older. Do not use Femanol if pregnant or intending on becoming pregnant. Take only as directed and do not exceed the recommended serving. If you are sensitive to herbal products, consult your physician before taking Femanol. A small percentage of people could have an allergic reaction to certain herbs. 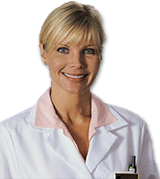 Your health care provider can assist in determining if Femanol is appropriate for you.